Some workplaces are more dog-friendly than others. And it makes sense that the UK’s largest organisation dedicated to dog welfare, The Kennel Club, has a strong canine presence among its own walls. 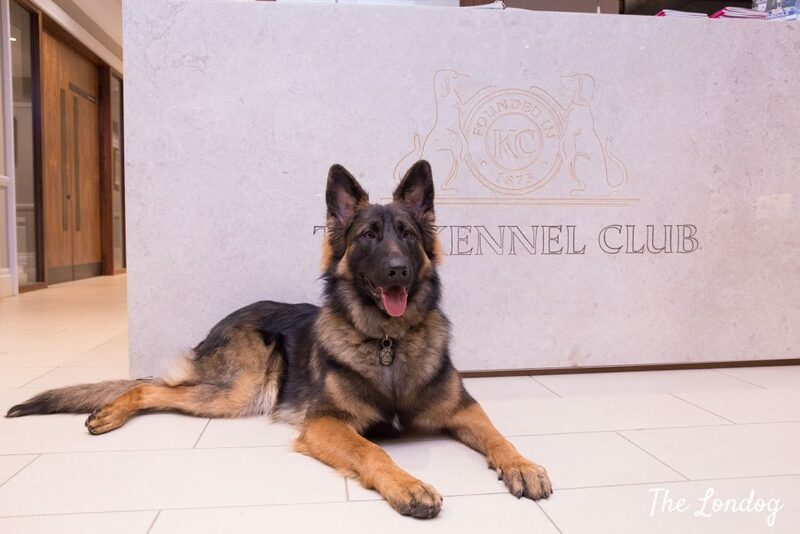 “Being the Kennel Club, we are all dog lovers so everything we do is for dogs; so it’s fair to say, we love having dogs around in the office”, says Kieran, who manages The Kennel Club and Crufts social media channels and is dad to 12-month old German Shepherd puppy, Buddy. Today’s story in the Office Dog Series is all about this happy pup. Buddy is a big puppy, who is lucky to be the youngest lad in The Kennel Club’s team. He has Kieran wrapped around his not so little paws. They became the best of buddies back in March when Buddy was just 8 weeks old and haven’t been apart since. That was also when he started going in at the office and spending his working week at the Kennel Club HQ in London, assisting his dad. 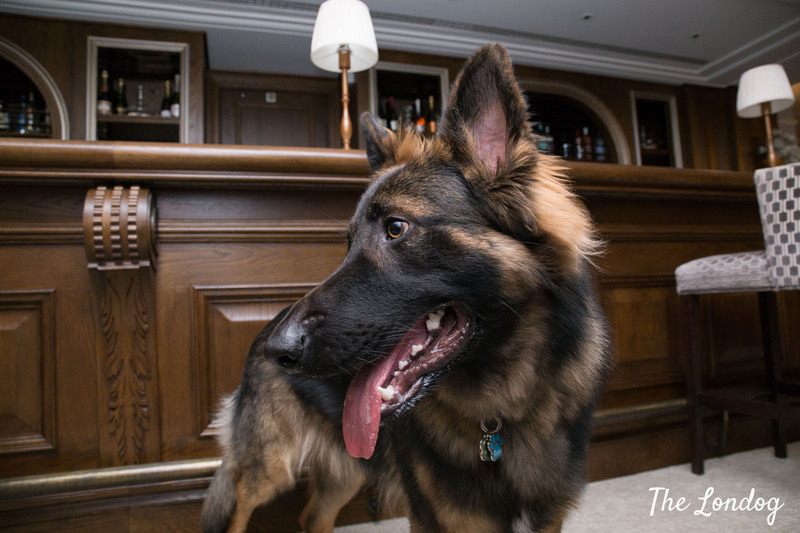 “Buddy has all of the usual traits of a German Shepherd, loyal, friendly, obedient but nothing makes me smile more than his constant need to be by my side on every occasion, including bathroom visits. It’s true what they say, GSD’s are your shadow. Words can’t describe the bond we have together, it is truly unbreakable and I would trust him with my life,” says Kieran. Buddy loves obedience training (and of course the rewards which come with it in the form of frankfurter sausages or his tuggy, notes Kieran) and by 10 months old, he has achieved his Kennel Club Puppy, Bronze and Silver Good Citizen Dog Scheme awards. Loving: Tuggy toy, lamb bites from Natural Instinct, his dad and cheese. Hating: Anyone who doesn’t play with him or give his attention. Funniest habit: Every time he goes in the lift, he wines as he is too impatient. Most annoying habit: Jumping on the my bed and waking me up at 3am most days to have a game of tuggy with him. 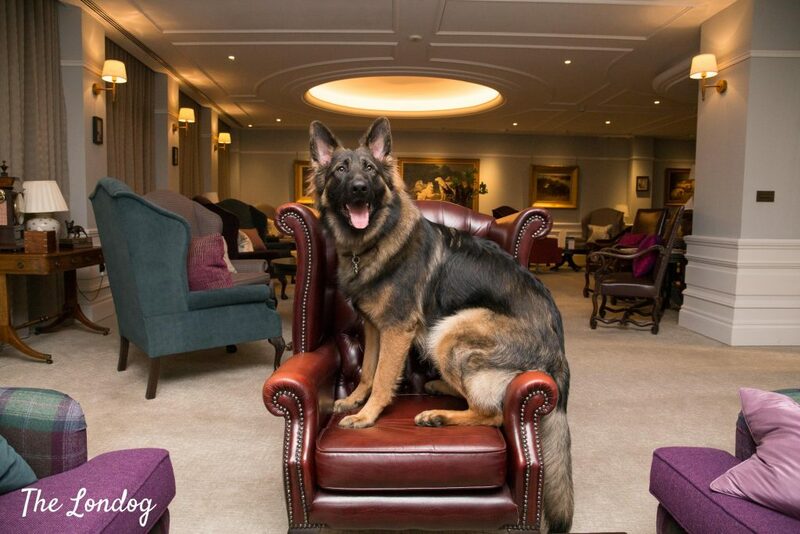 The Kennel Club is located in the heart of Mayfair, in a large elegant building paces from Green Park. 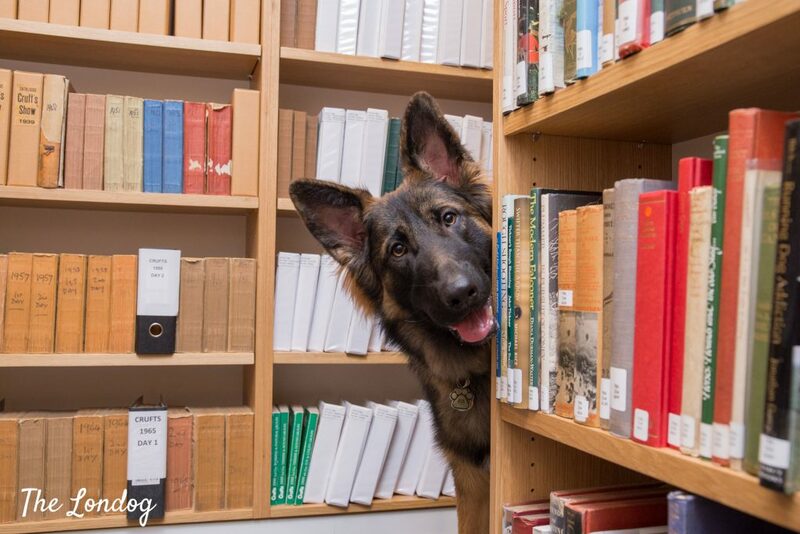 It hosts offices, a library (the world’s largest collection of canine books) and an art gallery – about which we will tell you soon on the blog -, as well as an exclusive members club. Every morning, Kieran and Buddy set off early to catch the train to London St Pancras and then get on the tube to Green Park station. Trains may be packed, but I had the pleasure to see Buddy in action on the tube, and he is specialised in squeezing in and finding the perfect spot, resting his chin on a metal plate next to the door at the end of the carriage. “Buddy loves the commute, it’s amazing how many more people speak to you when you have a dog, and we now have a solid commuting crew who wait at the same space each day to see him in the morning. From a young age, I taught Buddy to settle on the tube/train, so he just lays down until we are ready to get off”, recounts Kieran. Of course there is also time for walks at lunchtime at nearby Green Park, and Kieran finds the area very dog-friendly. “On an evening and weekend, he enjoys nothing more than heading back to rural Harpenden for long walks and naps,” adds Kieran. When I visit, there is Tink around, and it is endearing to see how Buddy tries to invite her to play and lays down next to her. Too slow to take my camera out, I miss the best shot of the two of them, laying on the carpet in the sweetest pose. Together we visit the Library and the Art Gallery and Buddy seems at home everywhere. 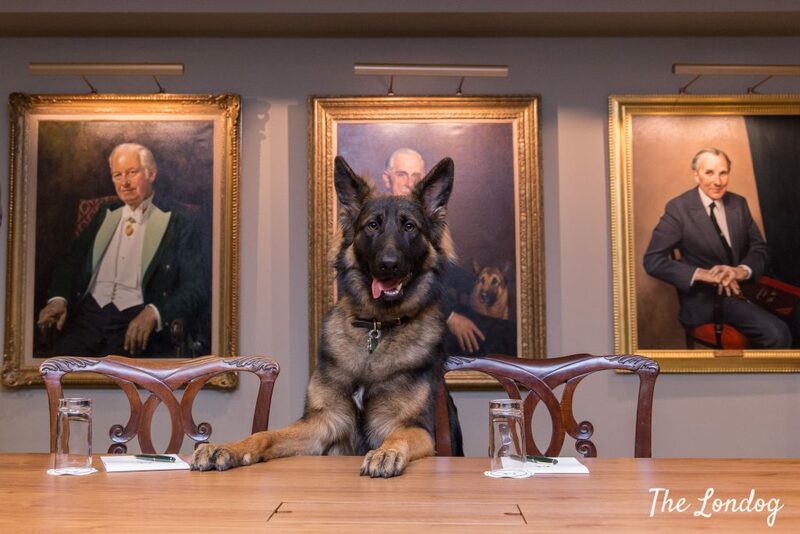 It is great to see how dogs can thrive in offices, and the Kennel Club’s is definitely a super dog-friendly environment. 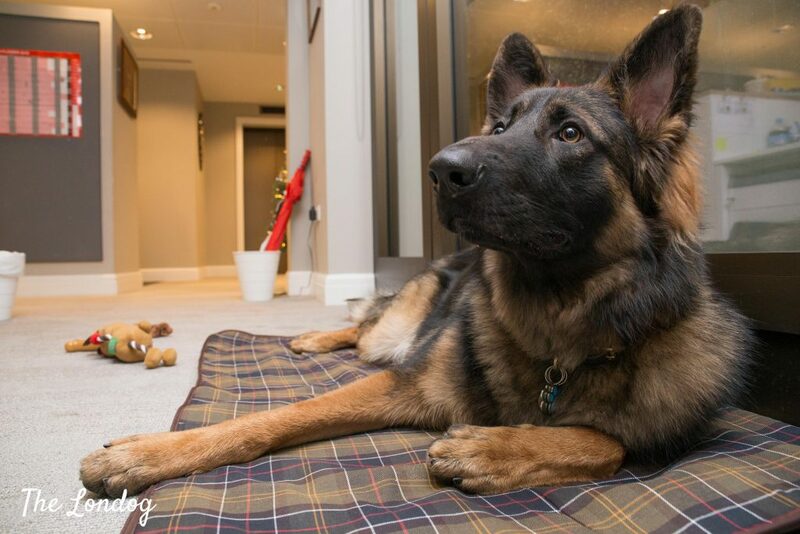 “It’s great having him in the office, as whenever anyone is feeling stressed, they can just pick up his ball and have a game with him and it takes their mind off the issue they were having. 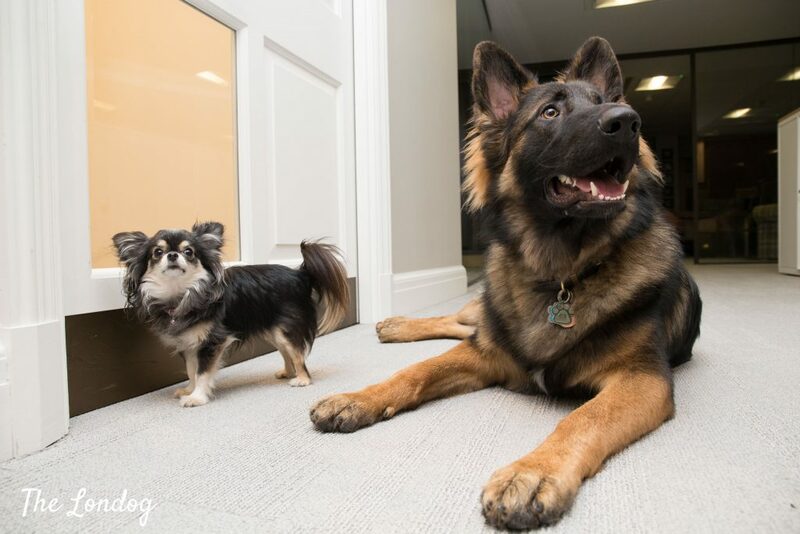 All of our office dogs have a huge impact on our office environment, they remind us every day of why we do we what do for jobs,” concludes Kieran. Tomorrow on the BLOG meet Thelma the Whippet from a trendy online business.